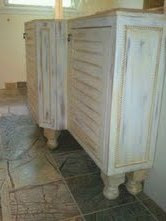 custom cabinet girl: love, love, love..... distressed finishings! I get so excited when I get to finish something and make it look like I beat it up! Don't ask me why but it just makes it so much fun when different pieces of the cabinet get to look different. 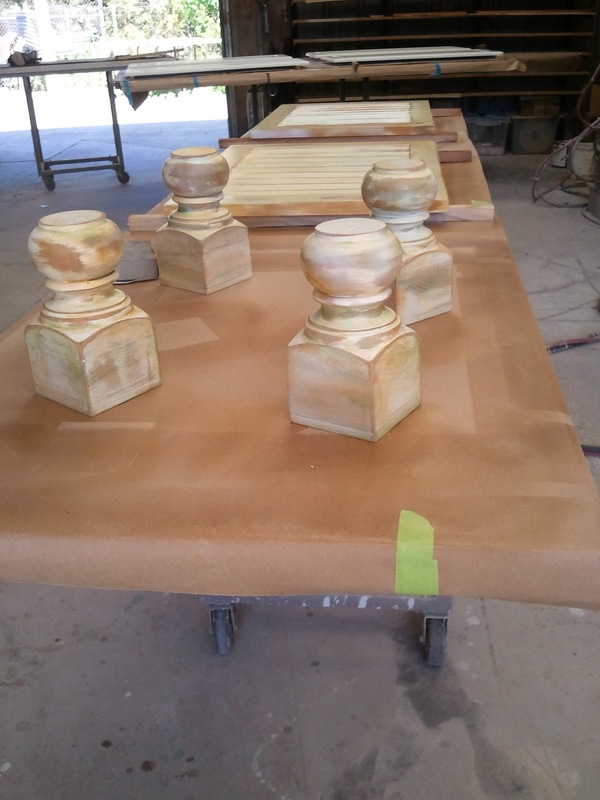 The whole piece is all the same colors ﻿but you get to choose what parts look different and NOTHING looks alike. I just love it! I made a sample for this client based on the tile flooring she is putting in her bathroom. My dad made this awesome vanity which you can see below. The door style looks like an actual shutter which is what the client was looking for in order to create a bathroom that makes you feel like you are in a garden. My dad and I brought the cabinet to the house to install it and I was ready to congratulate myself on the great work I did measuring for the cabinet......well in April world what do you think happened? We get into the bathroom and I see an indentation in the wall where the old cabinet was originally when I measured. I did not see that indentation in the wall and I just wanted to shoot myself for the mistake. Long story short, we brought the vanity back to the shop my dad cut it down and fixed it, and I refinished it this weekend. But I was asked to add a touch of green to the finish color which made it very interesting and unique. 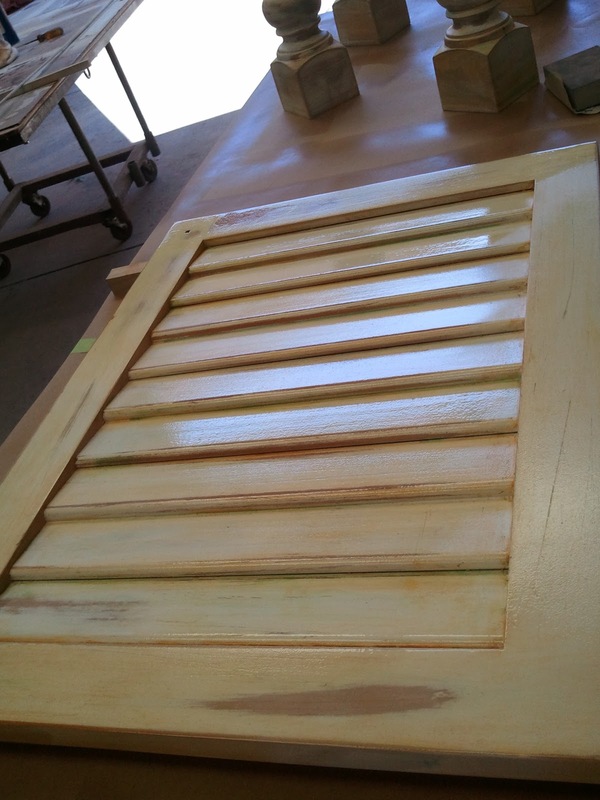 Now the cabinet really feels like it came out of a garden and got a little moss on it! So cool. Here are the feet I redid adding the green. I will post pictures of the final install when its done. Wish me luck cause tomorrow its going in! And I want it to be spectacular! I saw you on the Nate Burkus show last year, and you are as cute as ever!! Really really nice article in the Lodi Monthly magazine this month!